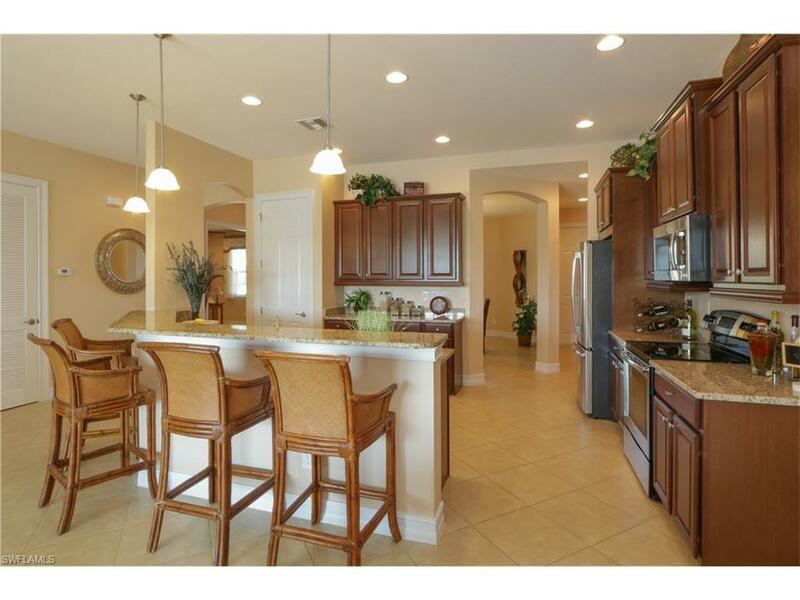 Looking for an estate home with 4 bedrooms and a den all on a single floor? This is it! Custom built for the current owners, every upgrade imaginable was added along with custom window treatments and custom fans and fixtures and the home is tiled throughout. There is also a fabulous solar heated pool with a waterfall and plenty of room to entertain on your screened outdoor lanai. The home sits on an oversize lot near the end of a cul-de-sac overlooking a beautiful lake. This home truly is your own little oasis. The master suite features his and her vanities and large walk in shower and soaking tub as well as his and her closets. Impact windows and doors throughout. The three car garage has plenty of room for your cars and all your storage needs. It was built extra deep to fit a full size truck! Please come see this fabulous property today.